Ships from and sold by MysticMoments..
Australian Pastel Pink Clay is perfect for balancing tired and sensitive skin and creating a youthful appearance with ultimate hydration and skin firmness. Its’ hydrating properties help to reduce fine lines, moisturise and improve the overall texture of the skin. 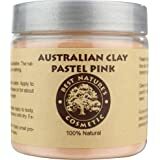 Pastel Pink Clay can be used in detoxifying body wraps, soap making, face masks, body and hair packs, face or body scrubs, shampoos and facial powders. 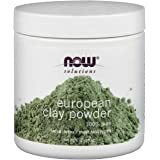 Uses: Pastel Pink Clay can be used in detoxifying body wraps, soap making, face masks, body and hair packs, face or body scrubs, shampoos and facial powders. Caution: May cause skin and clothes to stain. good price good seller. Product came in resealable manufacturers packaging. I mix with oils and aloe and get a moisturizing mask. I would repurchase. I love clay masks but I hadn't tried this one yet. 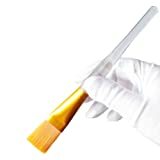 It works well and leaves my skin looking "poreless." The ingredients are exactly as pictures in the advertisement, so no surprises there. Considering the ingredients, the cost is way low. Thanks for a great deal! 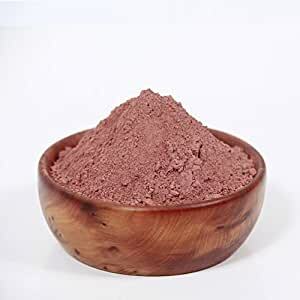 This is not a pink Kaolin clay; it is red kaolin clay. I wanted pink clay to make a specific face mask. I am currently exploring uses for this clay, but I am disappointed overall due to the false labeling. Great color, however, this isn't an all natural clay. 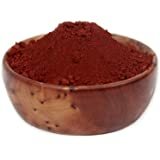 It contains CI 77491 aka FERRIC OXIDE; PIGMENT BROWN 6; PIGMENT BROWN 7; PIGMENT RED 101 which is an inorganic colorant used in cosmetics. I had planned on using this in my all natural handmade soap and now I can't. Lesson learned: always ask about ingredients before purchasing.